Bikram yoga and Thai massage have been the cornerstones of my health regimen for years. I discovered Thai massage and yoga at around the same time then later bumped into Bikram practice. I’d never seen anything like Bikram yoga. My first class was an arduous, sweaty, New Orleans original with humidity that makes Austin look like child’s play. I tried, did what I could and left wondering what the hell did I just do? Over the years I’ve integrated knowledge and distilled the essence of both practices into my own work as a bodyworker and yoga teacher. I ran across this article on blood stops the other day. Blood stops in Thai massage are not something often spoken of. It’s a higher skill, taught later in my series of Thai massage classes. I learned them years ago, use them with clients and later realized while taking Bikram classes that Mr. Choudhury had incorporated specfic poses in his sequence, along with the heart pumping heat, to do the same. The tourniquet effect and a blood stop are essentially the same physiological mechanism. This isn’t new information to me. I know it in the way that one knows your lover, from intimate contact and ongoing communion. What I was impressed to find was, oh someone else actually knows this and wrote about it. I rarely see Thai massage and Bikram yoga mentioned in conversations together and found it interesting that Bikram’s yoga was referenced twice in the pdf. Bikram helped teach me to do some Thai massage to myself. Thanks to the staff at Yogagroove for helping me keep the blood moving all these 7 years. 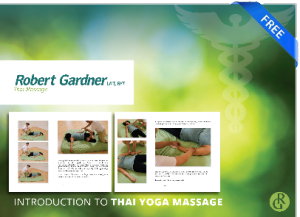 If you’re interested in my work there’s an Introduction to Thai massage class coming in late January. Thai Massage Is The Best!